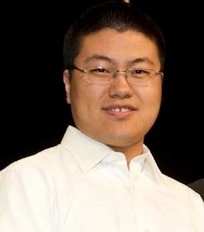 Yuexiao Shen received his bachelors degree in Water Supply and Wastewater Science and Engineering at Tsinghua University, China in 2009. Then he got his masters degree in Environmental Engineering in the same department in 2011, both under the guidance of Dr. Xia Huang, a pioneer in Membrane Bioreactor (MBR) technology in China. His work in Tsinghua mainly focused on fouling in MBRs, especially in large-scale MBRs for municipal wastewater treatment. A combination of several years of study and lab work aroused his interest in the wider field of membrane science and technology. Because of his strong passion in the fields of both membrane and environmental science, he came to Penn State to continue his research and joined the Kumar group. His current work focuses on synthesizing and testing promising biomimetic membranes and its environmental applications. ​He has recently gotten interested and made contributions to the exciting new area of artificial water channels.